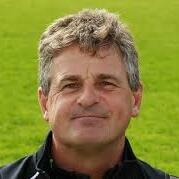 Audioboom / "It was really hard work" Steve Rhodes the Worcestershire director of cricket tells BBC Hereford & Worcester after the eight-wicket win at Northampton, equalling a record fourth county championship win at the start of the season. "It was really hard work" Steve Rhodes the Worcestershire director of cricket tells BBC Hereford & Worcester after the eight-wicket win at Northampton, equalling a record fourth county championship win at the start of the season. "I challenged the guys, and they did the job" the Worcestershire skipper Joe Leach talks to BBC Hereford and Worcester after a fourth consecutive County Championship win, beating Northamptonshire by 8 wickets in three days.